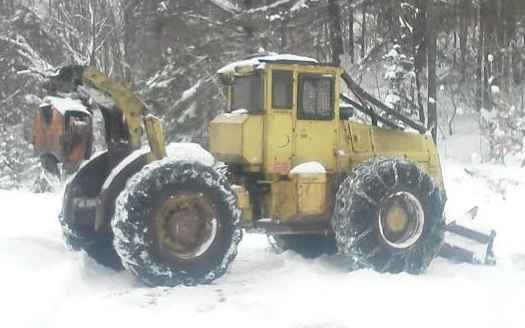 1992 John Deere 540E Cable Skidder. This machine has a reman 4 cyl. John Deere engine, runs and starts good, transmission and axles have been gone through, strong hydraulics and cylinders, winch is in good working order, 5/8" to 9/16" cable also has extra 5/8" to 3/4" cable, decent pins and bushing. New driveshaft, newer winch drive shaft and yoke, 28Lx26 tires - front are @ 30%, rear tires are @ 75%, new Bear Paw chains. Contact Erik @ Red Pine Equipment 218-720-0933. Machine is located in Northcentral USA. 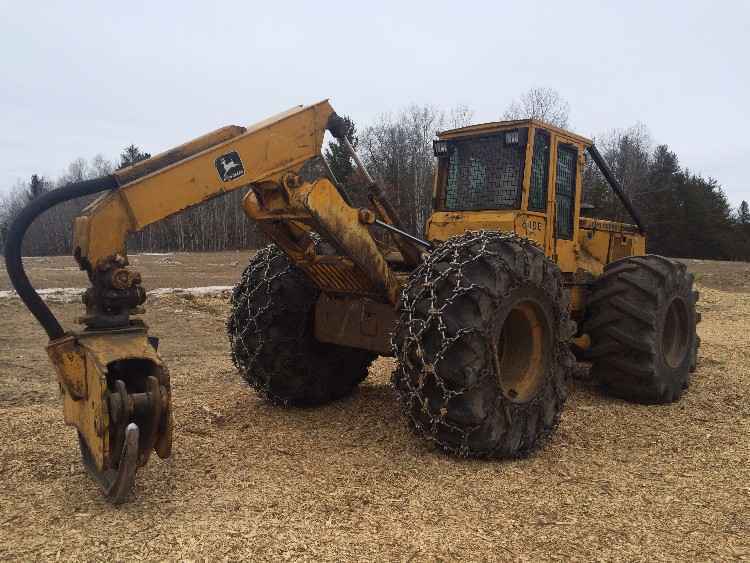 1992-93 John Deere 748E Dual Arch Grapple Skidder. This machine has a Cummins 8.3 engine, starts and runs good, engine has ~ 4-5,000 was a new engine & not rebuilt. Power Shift transmission is in good working condition, pins have a little play, strong hydraulics and cylinders, few minor leaks, new cutting edge on blade. Heat & lights. Contact Erik @ Red Pine Equipment 218-720-0933. Machine is located in Northcentral USA. 1992 John Deere 548E Grapple Skidder with Winch. This machine runs and starts good, hour meter reads 13,400 hours, strong hydraulics, no major leaks, grapple, winch all work, Deere engine, good tires and chains all around. Contact Erik @ Red Pine Equipment 218-720-0933. Machine is located in Northeast USA. 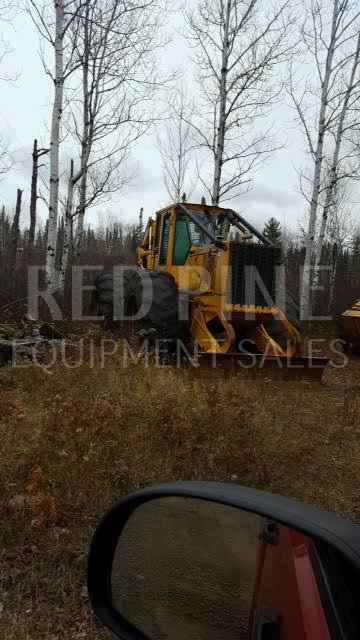 1992 Franklin 170 Single Arch Grapple Skidder with Winch. This machine has a Detroit 453 turbo engine, runs and starts good, strong hydraulics, newer center section, cylinders are in good working order, pretty tight arch, John Deere grapple, strong winch, 24.5x32 tires, front tires are @ 35%, rears tires are @ 90%, (rear tires are not included in these photos) heat, glass is okay. Contact Erik @ Red Pine Equipment 218-720-0933. Machine is located in Northeast USA.